The tinnitus sounds can be of varying types. There is no specific guideline for recognition of tinnitus sounds. But according to the type of sound experience during tinnitus, various categories have been made to distinguish between different types of tinnitus. Tinnitus considered as the melodious sound in medical terminology. The common type of symptomatic sound people experience is whooshing, buzzing and ringing. The sound is said to appear by the varying physical movement. Some people encounter sound by simple head shake while a lot of victims experience the sudden occurrence of noises in the ear without any movement. This type of sound synchronizes with your heartbeat. The Pulsatile tinnitus forces you to listen to heartbeat rate and always intimate you to aware of blood flow rate. This even provides you the feeling of blood flow changes via sounds. Musical sound is also known as hallucination and false auditory exposure. 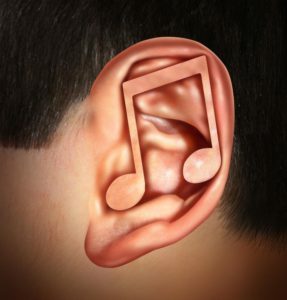 This musical tinnitus occurs in people who experience hearing disability in the past. This false rhythmic sound created by victim auditory response and sometimes people experience multiple choirs tones in a melodious form. It also appears in people who have no previous hearing disability but the probability of occurrence increase in noise sensitive people. The low-frequency tinnitus is quite puzzling in which the victim find difficulty in understanding the internal and external sounds. However, the tone of the sound seems as that the low octaves is playing on the piano and imitate as murmuring, rumbling, humming and deep droning. This type of tinnitus can be hazardous as it can reduce your cognitive ability and concentration because in this case your ear unable to differentiate surrounds sounds. In this type of tinnitus, you may experience very long episodes of sounds. Subjective tinnitus enables you to hear intense exposure of sounds. The frequent sufferer of this type of tinnitus is recommended to wear hearing aids to avoid intermittent ringing and buzzing. This annoying ringing sensation can cause trouble in your daily activity as it outstrips internal and environmental noises. Somatic tinnitus usually occurs by physical movement and stimulus. It is often caused by a dental problem and by muscle deformity. But this type of tinnitus can be avoided by adopting few preventive measures such as sound therapy and other hypnosis techniques. It is almost impossible to aid tinnitus by medication, but you can still combat your condition by involving healthy and effective practices in your lifestyle. Relaxation and Hypnotherapeutic treatment can help you to a certain extent. However, these techniques certainly not alleviate your symptoms but it can overcome some buzzing sensation in your eardrum. You can also add some food to your diet to ease tinnitus because some veggies and whole grains have found to be effective in case of frequent episodes of tinnitus.